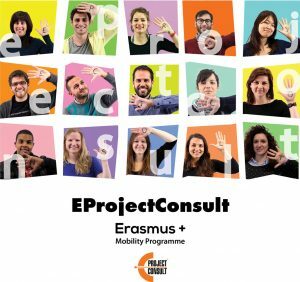 On the 22nd of November, EProjectConsult will attend the fifth and last meeting of the KA2 project SMILE in Belgium. The aim of this project is to support (new) companies in the micro-brewery industry on building a successful and sustainable future. For this project, EProjectConsult worked together with partners from Ireland, Spain, England, Belgium and Czech Republic. The project is being funded by the European Commission through the Erasmus+ programme. This last meeting in Belgium will also mean the launch of the SMILE Certificate in Brewing Entrepreneurship. With this certificate, all people aspiring to become a brewer in the micro-brewing industry will be prepared on challenges that this industry will bring. With the SMILE Certificate in Brewing Entrepreneurship, participants will have knowledge on the areas of the fundamentals of brewing, the main business and commercial considerations, and compliance aspects like Health, Safety and Environmental awareness. If you are interested in further details about the SMILE project or if you are interested in obtaining the SMILE certificate in brewing entrepreneurship, you can check out the website: www.smilebrewing.com. This website also contains free course material for those who want to learn more about brewing beer.